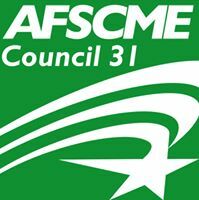 AFSCME Council 31 is one of Illinois’ largest and most active unions, representing some 100,000 active and retired public service workers in nearly 300 affiliated local unions. Council 31 is a dynamic and progressive union which plays a key role in the state’s labor movement, as well as in the political and legislative arenas. It has pioneered new strategies for organizing the unorganized, winning tough contract fights, and developing innovative programs to improve workers' lives. AFSCME Council 31 is currently hiring a Data and Information Technology Manager. The position is based in Chicago, Illinois. Experience working in the labor movement, for advocacy groups, or political campaigns a plus. Send résumé and cover letter to Margaret Walker at: mwalker@afscme31.org.